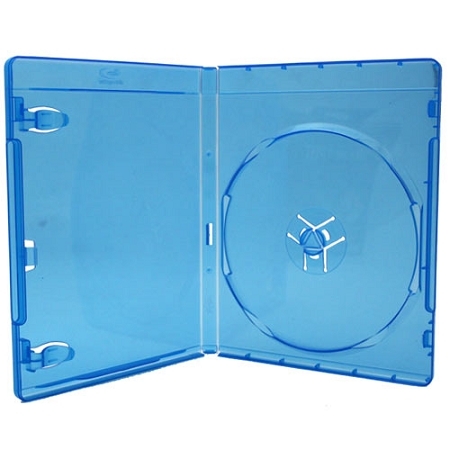 Blu-Ray or DVD case. Strong push button hub allows disc to be locked tightly when case is closed. By pressing down the push button hub the user can remove the disc smoothly without having to forcefully pull out the disc. This push button hub design prevents bending and scratching of your precious Blu-ray discs. Included 2 interior plastic clips which can hold a DVD booklet.